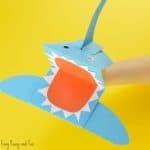 Celebrate shark week by making this Surprise Big Mouth Shark Printable paper toy with your kids. 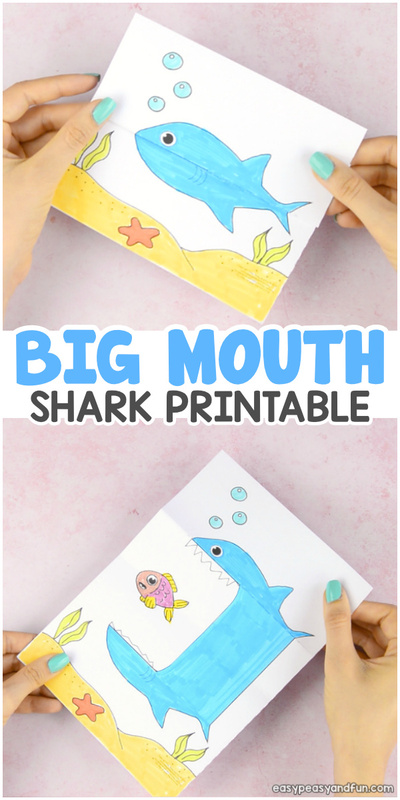 This biting surprise craft will entertain kids both big and small. 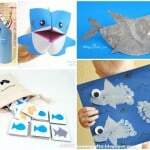 Need more shark crafts and activities? 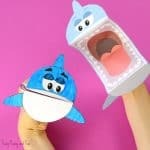 We’ve got a ton of shark week ideas. 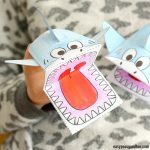 This shark printable paper toy is in many ways simmilar to our printable shark puppet – they both can be very chatty. 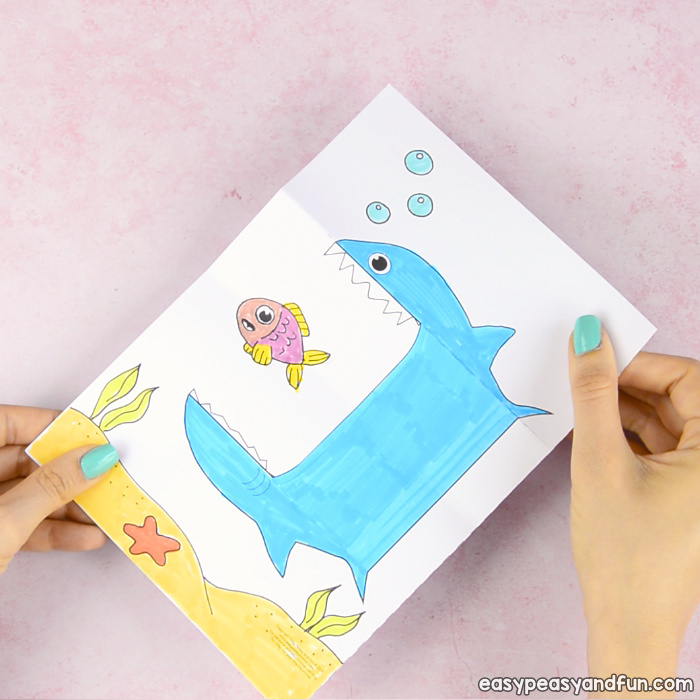 To make this one, you can either use our printable craft template or you can draw a shark of your own (or have the kids draw it). 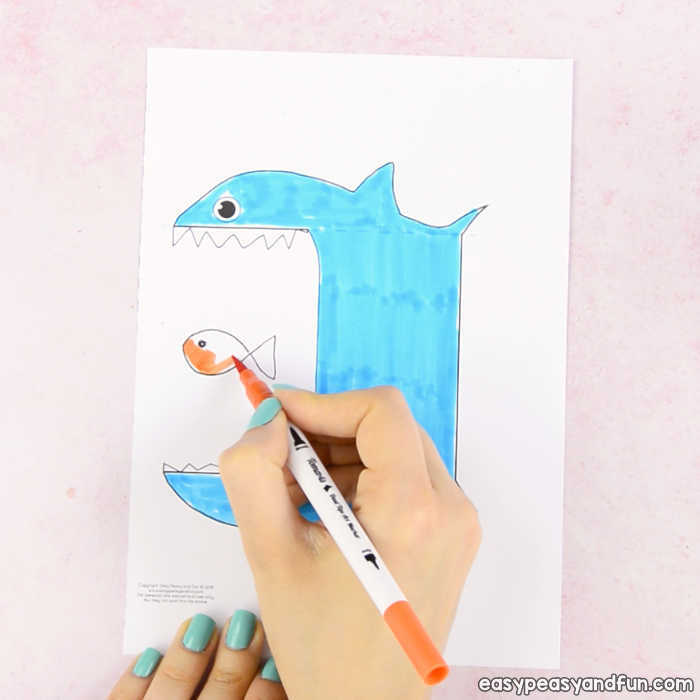 We do have a how to draw a shark tutorial on our website that might push you in the right direction. Why stick with shark only? 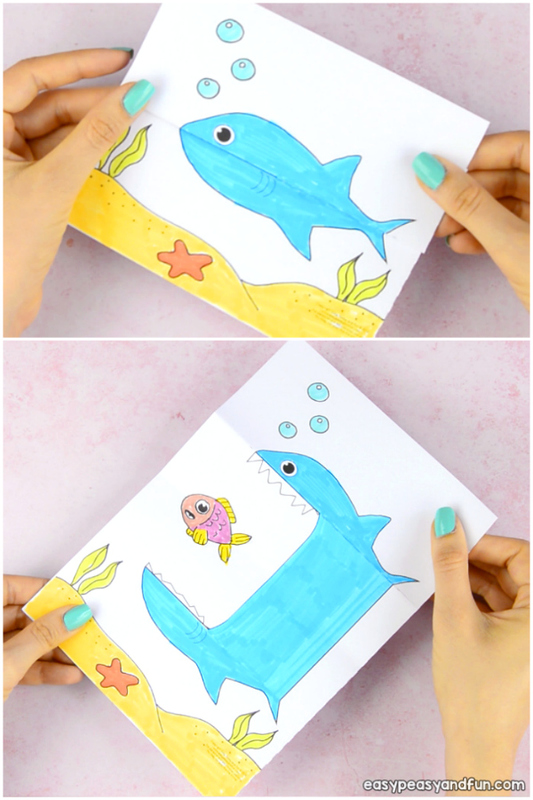 You can ask the kids to use their imagination and add other things to this printable craft – something hiding inside the shark’s mouth? Let the kids draw it. Fish swimming around the shark? Draw that too. 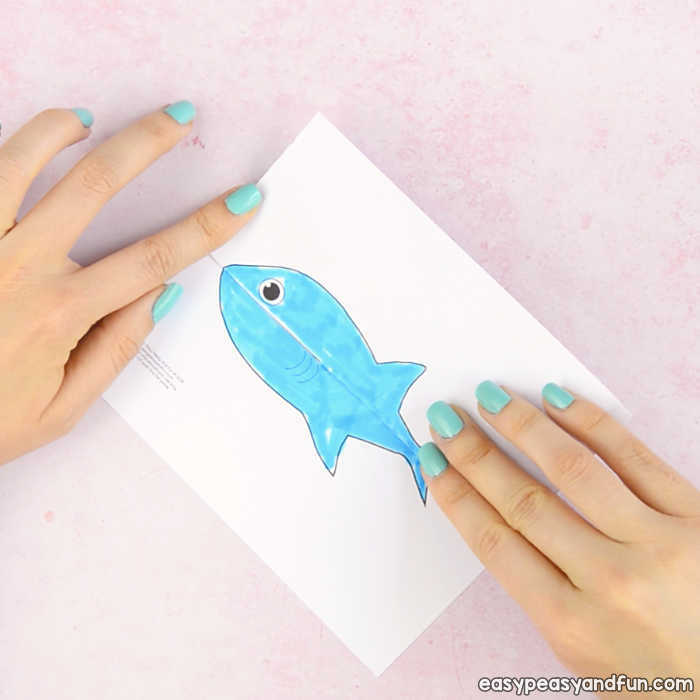 The ocean is full of amazing creatures that can be added to this printable to make it even more fun. No need to stick with realistic designs, your shark can swim in the space too. 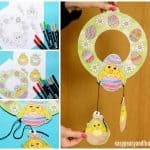 Ready to give this craft for kids a go? Print it out and let them have fun. 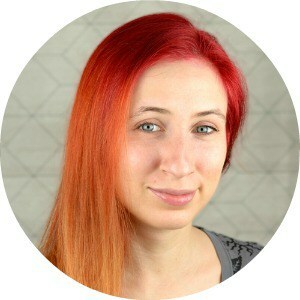 Our template, which you can grab at the bottom of this article, comes in two sizes – one with one shark per sheet and one with two sharks. Both templates are equally fun. 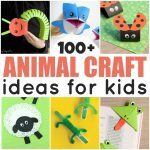 If you are looking for a quick art and craft project to do with your kids in the classroom, we do recommend going with the smaller one. Not only is it more frugal that way, but the actual crafting won’t take as long as kids have a smaller area to color. Smaller one does require a bit more prep time as you need to cut the paper in half. Print out the template on the paper of your choice. 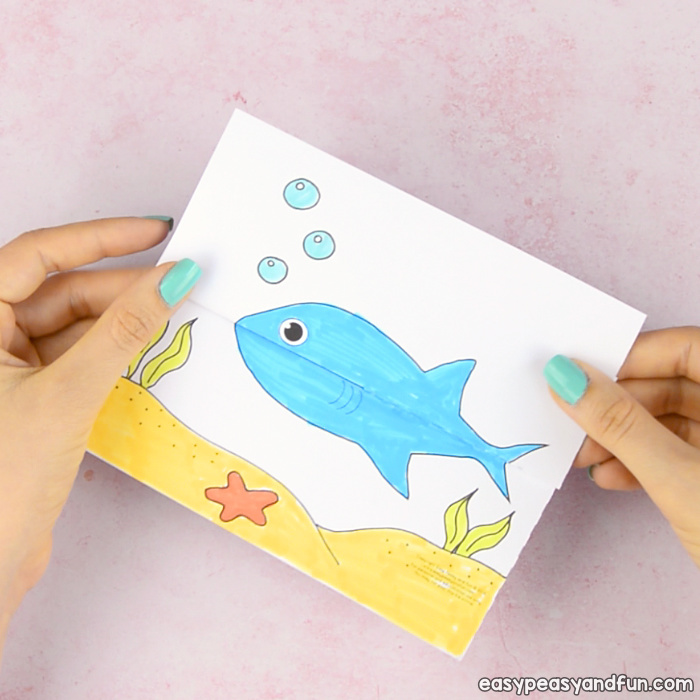 Regular paper works with crayons, card stock is better for markers. 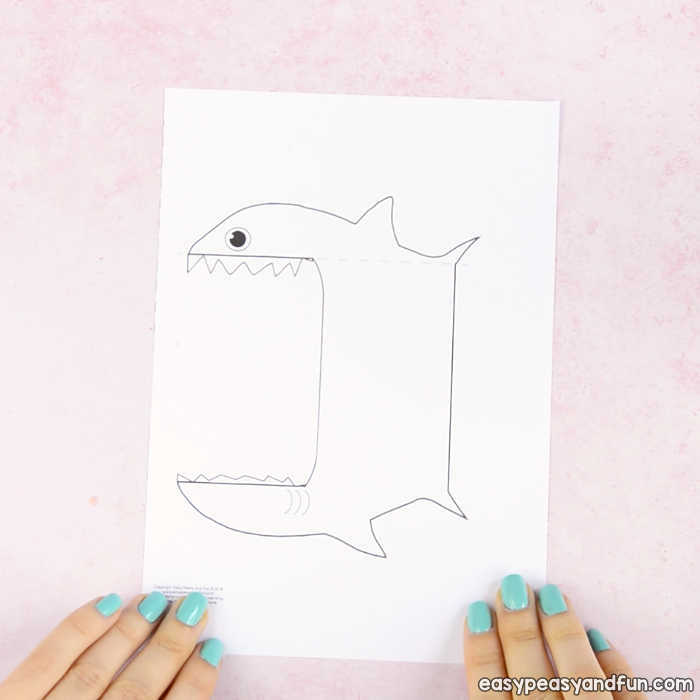 Have the kids color in the shark template. Fold along the upper lip line (we added a dashed line to help with folding) – the fold needs to run across the whole width of the paper. Make sure the fold is crisp, run a craft stick or your fingers across the fold. Bring the fold down to the bottom lip line and press the paper down to flatten it. This will create another fold inside the shark’s mouth. All done! 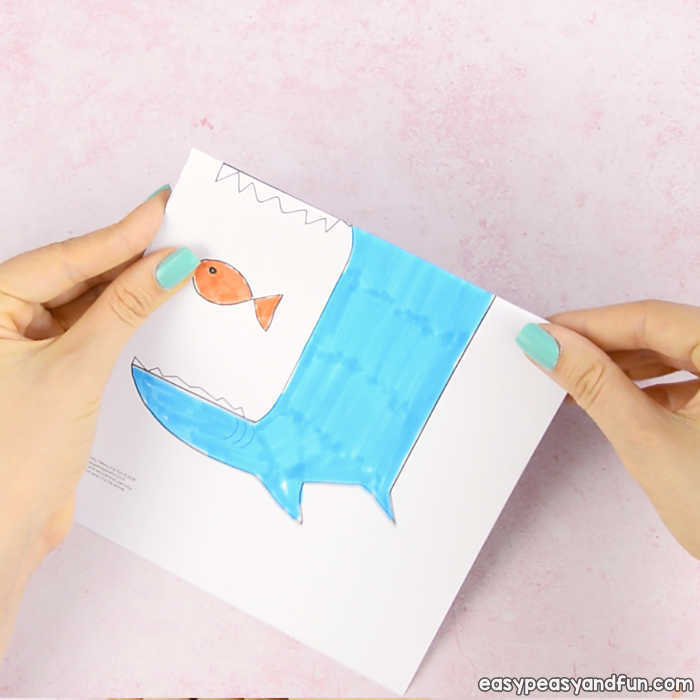 Now you can add your own designs to this paper craft – add sea animals or even a secret message inside the shark’s mouth.